Irkut Corporation delivered to Central AeroHydrodynamic Institute named after professor N.E.Zhukovsky (TsAGI) the MC-21 fuselage designated for static tests to confirm the strength characteristics of the new aircraft and to provide certification of the type for static strength. 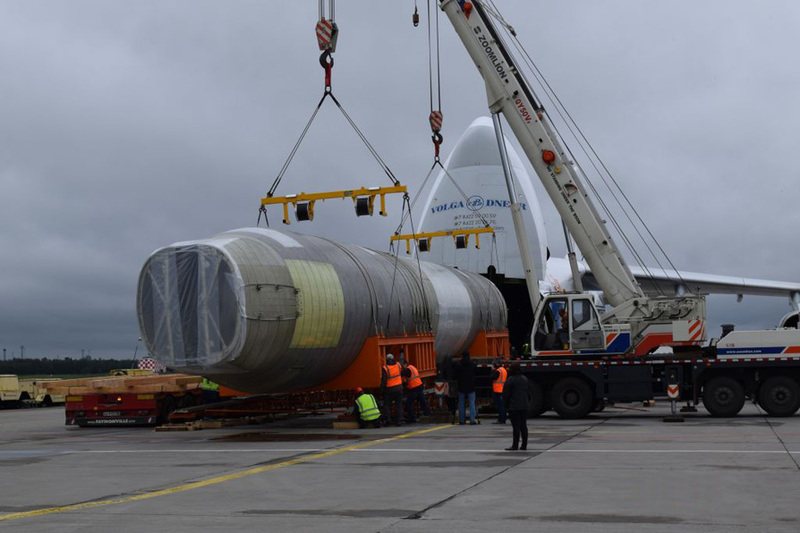 The MC-21 fuselage was delivered to Zhukovsky from Irkutsk by An-124 freighter. In the near future other parts of the airframe will arrive to TsAGI. In particular, Irkutsk Aviation Plant, a branch of Irkut Corporation where MC-21 fuselage was assembled, will hand over auxiliary power unit compartment. Irkut Corporation’s specialists, together with the employees of TsAGI and cooperation companies, will perform airframe assembly. The first stage of the airframe test includes leaks inspection. Then TsAGI specialists will initiate static tests which include simulation of structural loads in all flight modes with registration of stress-strain state of the aircraft structure. The purpose of tests comprises experimental verification of static strength, checks of correctness of calculation methods of strength, and fine-tuning of the finite element models based on experimental data. TsAGI has already conducted tests of a large number of elementary and structurally-similar patterns, including several types of panels, cross and longitudinal joints. Tests of fuselage compartment, structurally-similar patterns of tail and fin box are being held. The preparation for the isolated testing of composite-made wing box, stabilising fin and high-lift device is being performed. Ongoing and planned tests are performed to verify the ability of the new MC-21 aircraft structure to perceive design loads without breaking and without receiving unacceptable permanent deformations. This is an important part of a comprehensive test plan, implemented to perform the first flight of MC-21 and its subsequent certification.